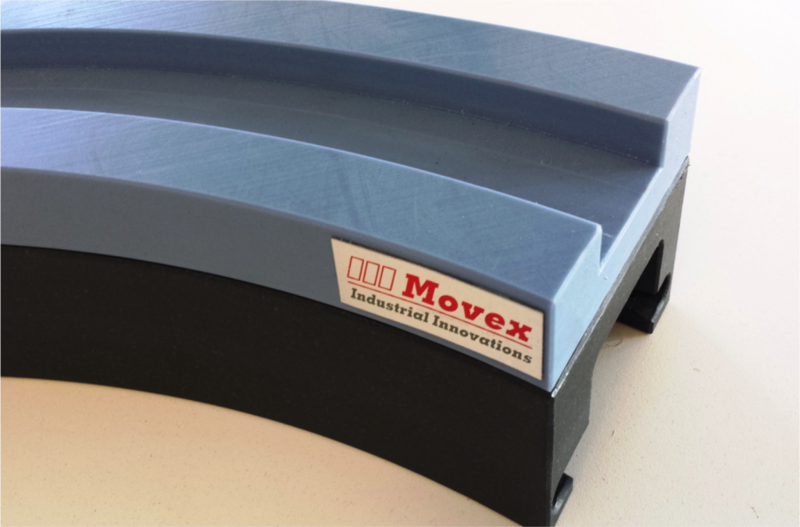 Wear strips are used to reduce friction and improve life of chains on conveyors or any other application, they work as a bridge between steel profile & chain profile. 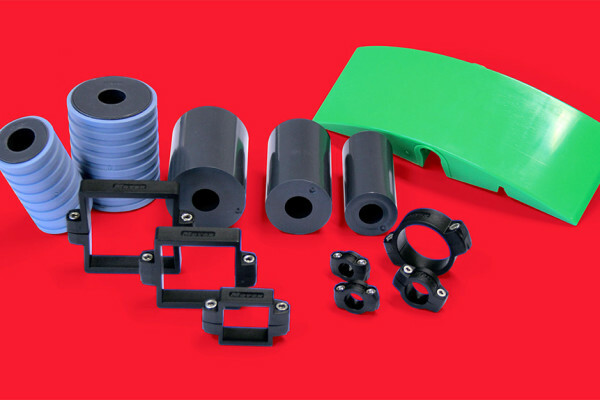 Side Guides are typical guides to guide the products conveyed to proper path on any type of conveyor, they are usually a compulsory element in any convening area to ensure smooth and guided moment of products. In a Nutshell the better the material of guide or wear strip the better chain & products will be guided. Packaging Industries, Food Industry, Bottling Industry, Tyre Industry, Automotive Industry, Container Glass Industry etc. A special kind of guide use to transport PET bottles on an air conveyor using a blowing mechanism for a faster transfer of PET empty bottles, a very special material with high quality additives are required for these guides as they involve high speed and temperature at application area. Recently improvements have been done on the material as new lubricated materials are introduced to further reduce friction between guides & PET bottles. Bottling Industry, Mineral water industry etc. Corner Tracks works as a special guide to provide a firm channel to chain in order to remain under a profile when a chain runs through a flexible conveyor. Corner tracks are a very important part of any flexible conveyor and this require special materials according to plant conditions. Both standard and magnetic curves are available to cater complete industry needs. 880 Seires, 882 Series, 8857M, 881M, 260M, etc . Bottling Industry, Mineral water industry, container glass industry etc. 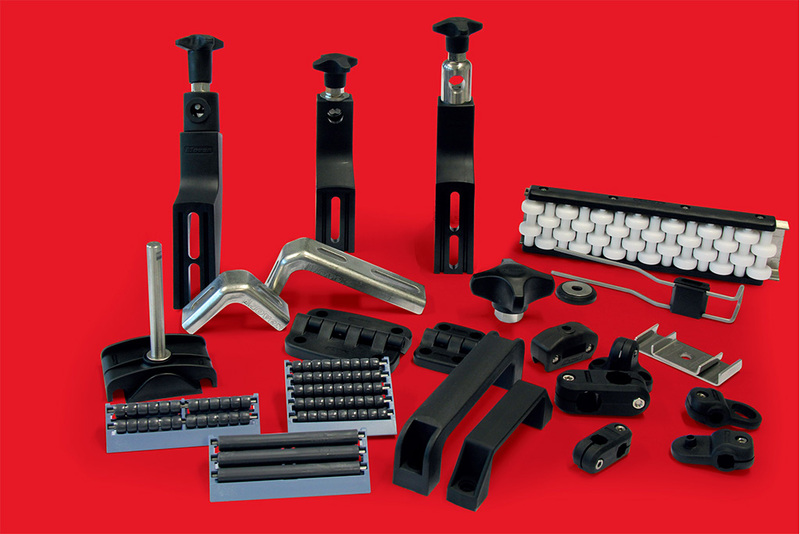 Conveyor Components a description used to cover almost all components used to build a conveyor in any industry. It acquires numerous parts varying from application to application. Return Components are used when the chain has to return back from below the conveyor to the top of it. As the chain is running on conveyors smoothly through guides so similarly return components are of vital importance to guide the chain well below the conveyor and return it smoothly back. 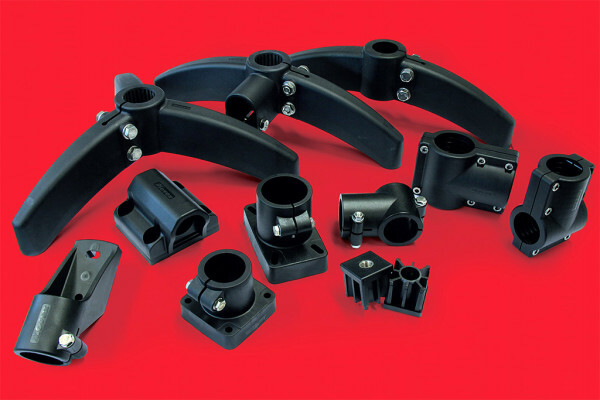 Frame Support components are mandatory for a perfect support to any conveyor or machinery area. 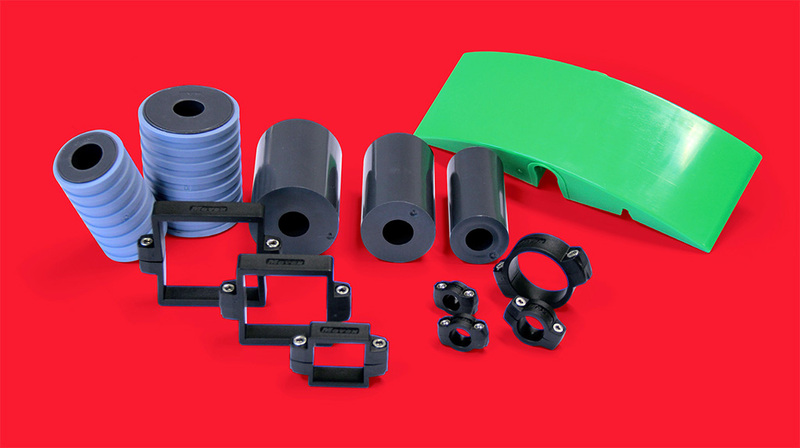 It includes numerous side and bottom supports to give a firm support throughout the conveyor. These are available in different fixtures & designs based on application. All designs according to application.